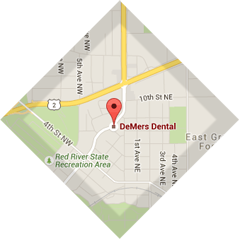 Our office is located at 706 DeMers Ave, East Grand Forks, MN (just east of city hall). 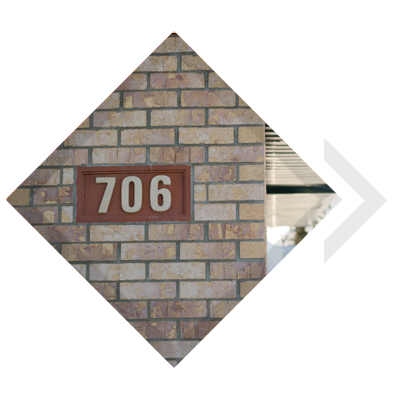 Our office was thoughtfully designed and built in 2002 and is a very comfortable, modern practice. We are fully handicap accessible. Our entry has a place to hang your coats as well as an area for children. Each operatory has its own window and digital x-ray equipment. We also have a panoramic x-ray machine in-office. We have a separate consultation room where treatment can be discussed and questions can be answered in a more comfortable setting. In the very back of the office we have our own lab where we take the time to initiate the lab process in-office as a quality control step giving both dentists ample opportunity to assess their own work and the lab’s work before it is delivered to the patient.